Newark, New Jersey’s largest city, is home to roughly 280,000 people, and is the third largest city in the United States. 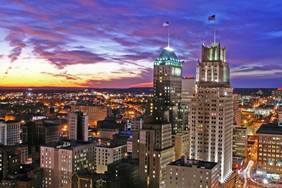 Newark is easily accessible to Newark-Liberty International Airport and attractions in Manhattan. Newark Airport is a hub for United Airlines, resulting in numerous flights in an out of the area. MetLife Stadium is in nearby East Rutherford, New Jersey and is a part of the Meadowlands Sports Complex. The stadium is home to both the New York Jets and the New York Giants of the National Football League. It is the second largest stadium used in NFL play and seats 82,566 fans. In addition to professional football, numerous other sporting events and concerts are held at the venue annually. The Prudential Center opened its doors in October 2007. The arena seats 16,514 patrons for hockey and 18,711 for basketball. Located on Lafayette Street, the arena, affectionately known as The Rock (due to Prudential’s corporate logo) is home to the New Jersey Devils of the NHL and the Seton Hall Pirates college basketball team. 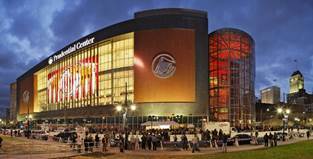 In addition to sporting events, the Prudential Center has also hosted a series of other sporting events, including the East Regional of the 2011 NCAA Men’s basketball tournament, concerts, and rallies. 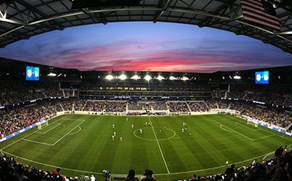 The Red Bulls Arena is the home of the New York Red Bulls (the former NY/NJ Metrostars) of Major League Soccer (MLS). It is located in Harrison and is directly across the Passaic River from Newark. The arena opened in March 2010 and has a seating capacity of 25,000. The stadium hosts MLS soccer matches as well as international level soccer matches. The stadium is accessible via PATH and New Jersey Transit trains as well as by bus and car. The Newark Museum, organized in 1909 by librarian John Cotton Dana, was originally founded with the mission to “establish in the City of Newark, New Jersey, a museum for the reception and exhibition of articles of art, science, history and technology, and for the encouragement of the study of the arts and sciences." The museum was originally located on the fourth floor of the Newark Public Library, found just down the street, but moved to its own building in 1920. holds fine collections of American art, decorative arts, contemporary art, and art of Asia, Africa, the Americas, and the ancient world. Its extensive collections of American art include works by Hiram Powers, Thomas Cole, John Singer Sargent, Albert Bierstadt, Frederick Church, Childe Hassam, Mary Cassatt, Edward Hopper, Georgia O'Keeffe, Joseph Stella, Tony Smith and Frank Stella. In addition, the museum’s Tibetan galleries are considered among the best in the world. The collection was purchased from Christian missionaries in the early twentieth century. The Tibetan galleries have an in-situ Buddhist altar that the Dalai Lama has consecrated. In addition to its extensive art collections, the Newark Museum is also dedicated to natural science. It includes the Dreyfuss Planetarium and the Victoria Hall of Science which highlights some of the museum's 70,000 specimen Natural Science Collection. 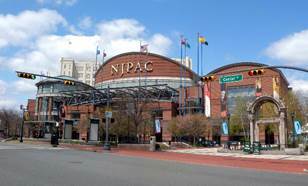 Affectionately known as NJPAC, the New Jersey Performing Arts Center is the sixth largest performing arts center in the United States. The center is home to two theaters, the 500 seat Victoria Theater and the 2,750 seat Great Hall. The center is the home to the New Jersey Symphony Orchestra and also hosts concerts and other events throughout the course of the year.